One of the hottest new technological trends in both the toy and the video markets is the video drone, capable of taking fantastic videos from the air. These video drones take shots that you’d normally never be able to get on your own, even if you climbed up on ladders, trees, or cliffs. 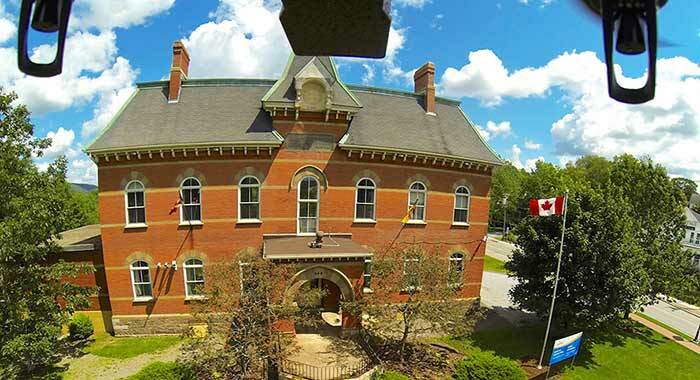 The video drone flies around the air with the aid of a controller, and is directed to video record scenery, actors, real estate, sporting games, and other fun scenes. Later you can edit your film, and post online videos to entertain the world. The police and military all use flying drones for their security missions as these drones can fly into locations that are hard for humans to get into. There are even RC clubs where members can gather together to learn more about the video drone hobby, while also having fun flying their video drones around a park. Members can share their experiences and learn more about video drones. 1 What is a Video Drone? 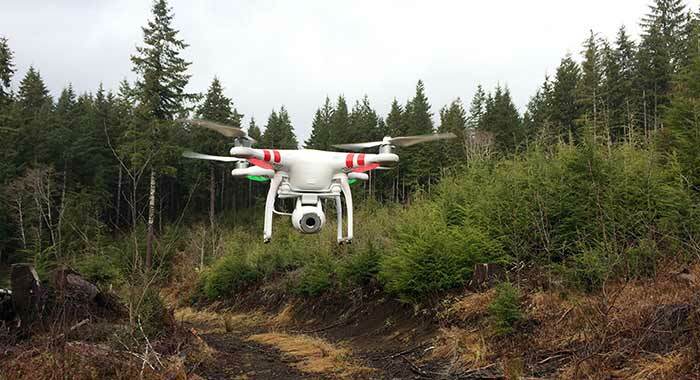 A UAV – Unmanned Aerial Vehicle – is more commonly known as a video drone, or an unmanned aircraft that has an attached video camera, so you can take video from the air. Drones are also known as quadcopters, and octocopters. 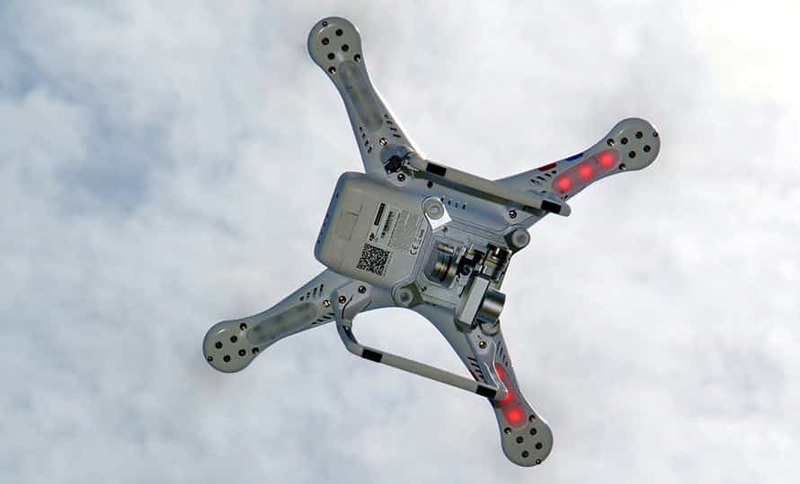 Some UAVs only have digital cameras, but the more expensive ones also offer video. Depending on the brand, price, and features offered, you can buy quadcopters (four blades) or octocopters (with eight blades), get basic video, or you can have feature film video quality. You can buy video drones in all shapes, sizes, brands, and models. 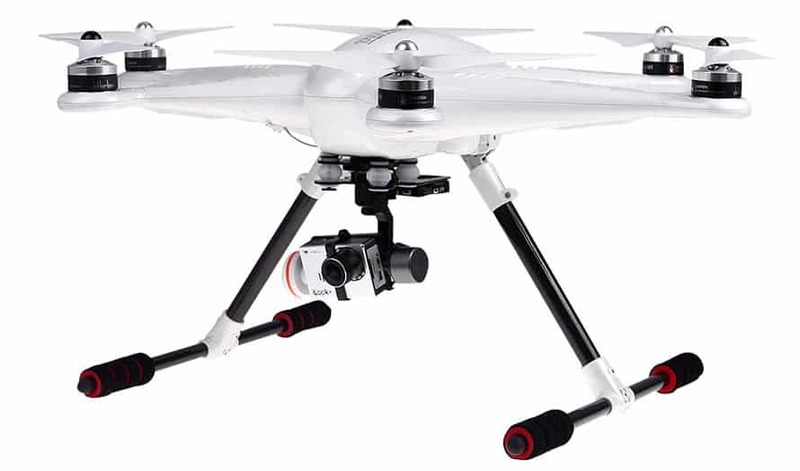 Many video drones come equipped with their own video cameras, but you can also purchase a separate gimbal, and attach your own compact video camera. Price points can vary from $100 to $2000, depending on your budget, and whether you need a video drone to film exceptionally high resolution full color video imagery for your business. The possibilities are endless for having fun with your video drones, and hobbyists are finding new ways to use their video drones to shoot video. With the advent of Youtube, anyone can be an amateur filmmaker. It can take hours to film only two minutes of the best video, so you’ll have plenty of fun when you take your video drone outside for filming. The best Youtube videos made with video drones have even won amateur video awards. If your video goes viral, you could become famous! Video drones make a great gift, as not only can you get the entire family outside to enjoy fresh air, but everyone can have fun using the controller to fly the video drone around the park, farm, or historical sights. A wedding can be filmed by a video drone and will provide a unique gift to the lucky bride and groom. It’s unlikely that anyone else will have thought of this unique gift idea, so yours is sure to stand out. With the holiday season coming up, you may be perplexed with what sort of gift to buy your loved one. Do they already have everything? A really unique gift idea is to buy them a video drone. Do you think anyone else will buy them one? It’s quite unlikely! Here are two of the best video drones to buy as gifts. The Walkera TALI is a Hexrcopter with five blades, and comes in a bright white plastic finish. This video drone comes with an attached video camera that hangs from the base of the unit. The separate controller features a video monitor, so you can see exactly what your video drone is filming. The flight time is up to twenty-five minutes, which provides plenty of flight time, so you don’t get frustrated that your video drone is landing, before you’re had a chance to film everything that you needed. The Walkera high performance aerial action iLook camera features exceptionally high resolution full color, 13 megapix stills, 1080p 30 fps video. Comes with a built-in 5.8g video downlink. There’s built in battery charge status monitoring, so you know when you’re running low on power, and need to bring your video drone down. One nifty feature is the GPS position hold, so that you can hold your video drone in flight. The DJI Phantom video drone is a great choice for those who are starting out in videography, and is priced really well, considering the price of a good video camera will also cost you hundreds of dollars. The DJI Phantom quadcopter comes in a white plastic finish with striped highlights. This video drone comes with a featherweight 2.4G Wi-Fi FC40 camera with 720p/30fps HD Video. It comes with a user friendly smart phone app so you can watch the video as it unfolds, as well as provide remote control access via your smart phone, with a variety of other smart phone app features as well, such as album sorting. This video drone is great for bringing on hiking trips or other short trips as it’s compact enough to tuck safely into your backpack, while being light enough to be comfortably carried to your preferred filming site. You can use the enclosed camera, or attach your own. Check Price Of DJI Phantom FC40 On AmazonA great hobby for modern day toy enthusiasts is a video drone that’s capable of filming moving scenes from high in the air. You can become an amateur filmmaker and post your videos to Youtube for everyone to enjoy. There are two great video drone choices for you to choose from, that will make great gifts for the upcoming holiday season. Either the Walkera TALI H500 Hexrcopter, or the DJI Phantom FC40 Quadcopter both make great gifts, when you’re stuck on finding the best gift for your loved one.